Basic to complex. High quality. Mobile support. Choose a topic below, or customize your class. 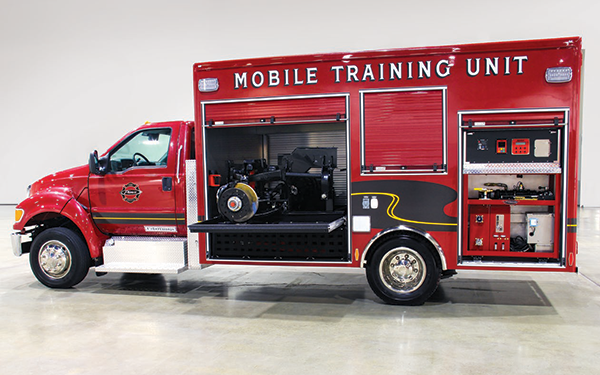 No matter where you are, we can make sure you have access to specific, hands-on training for your Pierce apparatus. Come to an area below, or we will come to you. Pierce dealers are your single-source experts for parts, training, warranties, and aftermarket service. No other fire apparatus manufacturer on the planet has a stronger, more committed dealer sales and support network. Every. Working. Detail. Mastered. Our certified technicians know the intricacies of every last aerial, chassis, electrical and pumper component. Hundreds of Master Technicians are standing by to help you train, troubleshoot and maintain any way you need. Via Skype. On the phone. Through e-mail. At your facility or ours. With over $5M and 500,000 square feet dedicated to inventory, Pierce stocks a robust parts supply that responds to every maintenance need for the life of the vehicle. Get a 24/7, vehicle-specific parts bill of material (BOM) with up-to-date stock parts and accessories. Truck-specific service manuals are available for registered users, based on the design configuration of the vehicle. Service manuals typically include information on the following (as applicable): troubleshooting, front axle/suspension, brakes, engine, tires, wheels, cab, electrical, air systems, plumbing, foam system, aerial device and more.